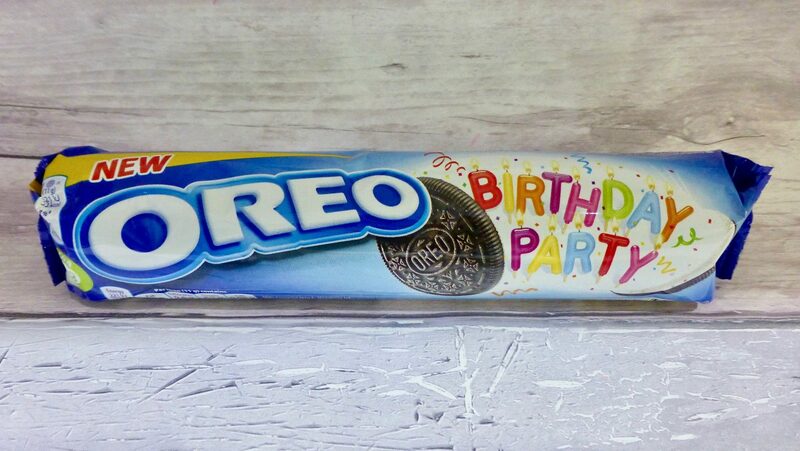 A bit late to the game, primarily as this is the first time I have seen them, however we have finally got there and it’s time to try the new Birthday Party Oreo. To be fair the British Oreo track record isn’t that great so my expectations are pretty low. The Choc’o Brownie for me was a complete waste of time and let’s not forget about the abysmal excuse that was the Peanut Butter version. Currently being sold in Asda, Ocado and Sainsbury’s, I found mine in the latter and were on offer for 75p. America have had the Birthday Cake version for some time and was originally to celebrate Oreo’s birthday. The UK have jumped on board except they have replaced birthday cake flavour filling with caramel flavour filling ….. Changes aside can it give us that party fix? The rainbow coloured sprinkles scream birthday fun but I cannot really understand the need for a caramel flavour filling, it doesn’t exactly remind me of birthday parties. The smell of sickly sweetened, and slightly burnt caramel was overwhelming yet bizarrely when it came down to the taste it had all but disappeared. 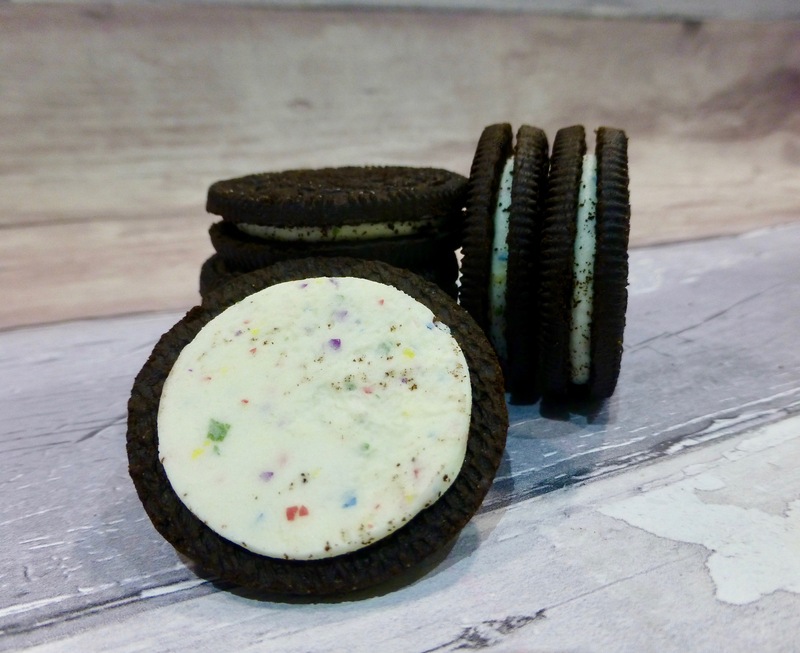 The filling did seem thicker than that of previous UK Oreos, and the cookie was as ever like an Oreo should be and helped to steer away from the sweet creme. On the whole the Birthday Party Oreo isn’t a bad Oreo and I did enjoy munching my way through the pack. The sprinkles are a nice touch but it doesn’t bring much to the table nor does it at all remind me of a Birthday Party. So if you are looking for something a bit different this isn’t it. A nice idea, just poorly executed. Have you tried these new Oreo Cookies? What are your thoughts? Do you feel the Birthday Party vibe?